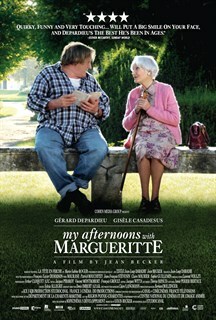 In a small French town, Germain (Gérard Depardieu), a nearly illiterate man in his 50’s and considered to be the village idiot by his friends at the local bistro, takes a walk to the park one day and happens to sit beside Margueritte, a little old lady who is reading excerpts from her novel aloud. She's articulate, highly intelligent and frail. Between Germain and Margueritte, there are 40 years and 200 pounds difference. Germain is lured by Margueritte’s passion for life and the magic of literature from which he has always felt excluded.